By 1980, The Muppet Show had worldwide success, millions of fans, and a colorful history of guest stars from many fields of the entertainment world. In the fifth season of the show, actress and comedienne, Carol Burnett was brought in to be a guest. Burnett was well known at the time for her series The Carol Burnett Show, which ran for 11 seasons, and for her acting roles in the television movie, Friendly Fire, and in major films, such as A Wedding, Heath, and The Four Seasons. 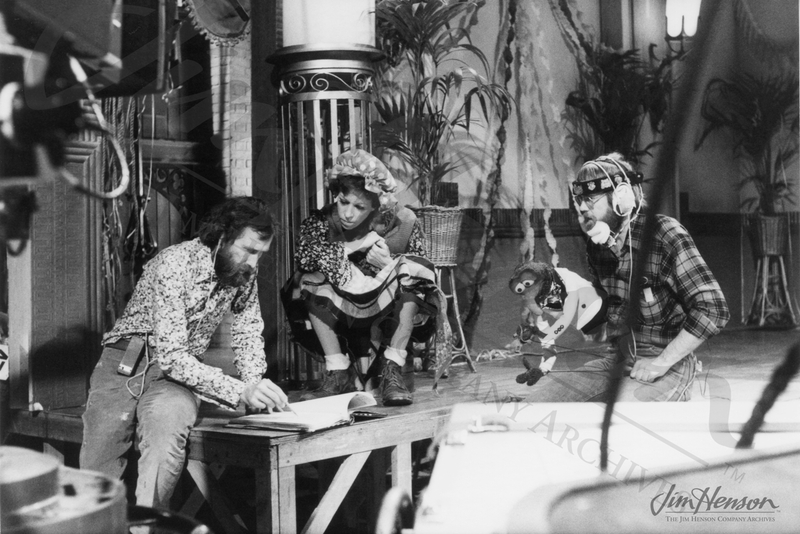 The Muppet Show appearance was not the first time that Burnett worked with the Muppets – her first encounter was during an episode of the short lived 1967 series, Our Place, on CBS. This comedy variety show hosted by Rowlf the Dog (performed by Jim) featured regular appearances from the comedy duo Burns and Schreiber, both of whom would go on to work on The Muppet Show as a writer and guest star, respectively. 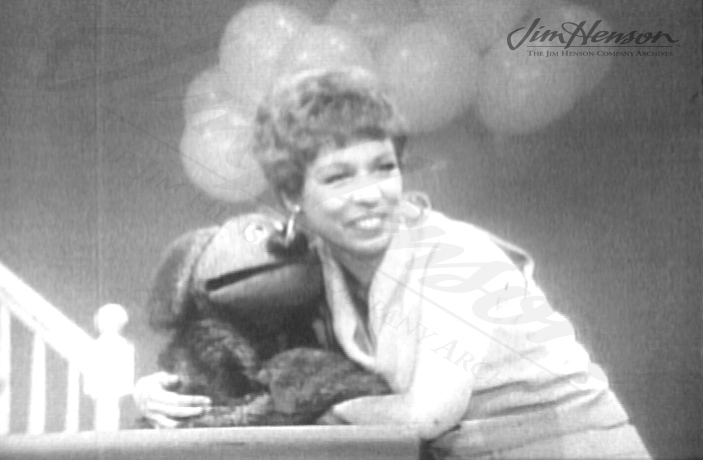 Burnett, who appeared in the first episode of Our Place, was featured in segments where her character could not spell, leading to chaos when trying to perform show tunes like “Oklahoma.” She also performed the song, “Stormy Weather,” which would be featured on The Muppet Show’s first season nine years later. Although Our Place only ran for ten episodes, it gave Jim important professional contacts, increased public awareness for the Muppets, and influenced his own comedy/variety series years later. Later in the episode, First Mate Piggy in “Pigs in Space” was swallowed by an alien and forced to dance within the monster’s throat. The Muppet dancers ruined a calm musical moment for Burnett with a lively can-can, and pair of robot dancers, courtesy of Muppet Labs, won the dance contest. Additionally, Burnett played the roles of a Lonely Asparagus and of a cleaning lady, a signature character from her own variety show. 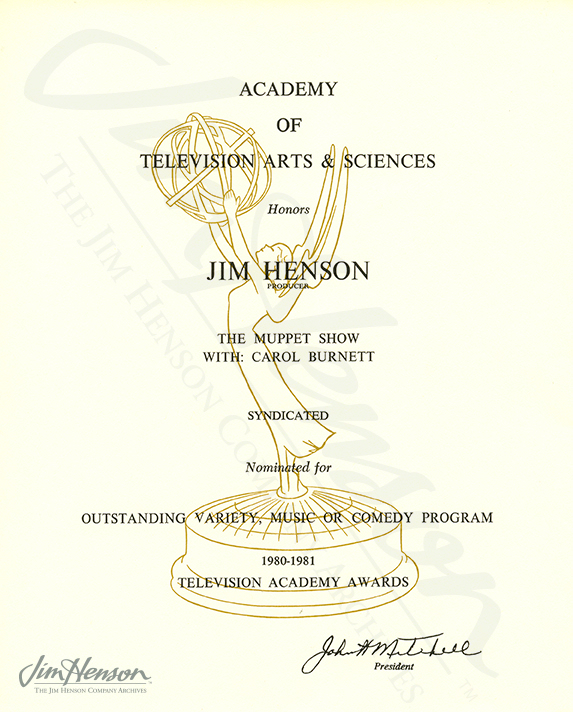 Jim’s son Brian commented on the episode, saying, “Put it all together and it makes for one of the all-time greatest episodes of The Muppet Show.” Clearly, the Television Academy agreed, as the show’s writers received the 1980 Emmy Award for Outstanding Writing in a Variety, Music, or Comedy Program. Carol Burnett also made several appearances for the first season of Sesame Street in 1969, where she explained topics like the number 20 and the letter W, and she appeared in the 1990 television special, The Muppets Celebrate Jim Henson, to speak about how the backstage life of the Muppet performers inspired the relationships that the Muppet characters had onscreen. Rowlf the Dog and Carol Burnett on CBS’ Our Place (1967). Jim Henson, Carol Burnett, and Dave Goelz (performer of The Great Gonzo) take a break to read some production notes while filming The Muppet Show. 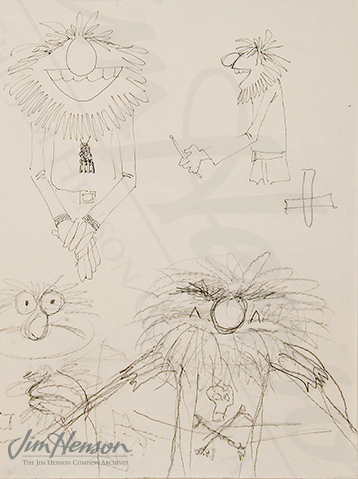 Concept sketches by Jim Henson and builder Bonnie Erickson for the drummer Animal. 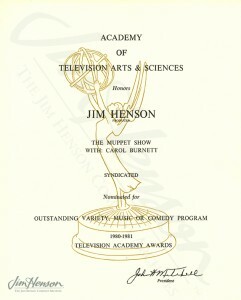 Jim’s Emmy Nomination certificate for Outstanding Writing in a Variety, Music or Comedy Program for the Carol Burnett episode of The Muppet Show. This entry was posted in 06-June '80, 1980, Muppet Show and tagged Animal, Brian Henson, Carol Burnett, Electric Mayhem, Gonzo the Great, Kermit, Our Place. Bookmark the permalink.